Ubuntu MATE leader Martin Wimpress announced the release of the beta version of the Ubuntu MATE 18.04 operating system for the tiny Raspberry Pi single-board computers. 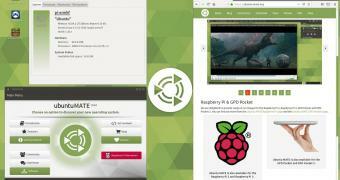 Martin Wimpress and his team have been working on refreshing the Raspberry Pi edition of the Ubuntu MATE operating system for a few weeks now, finally rebasing it on a newer LTS (Long Term Support) release, namely Ubuntu MATE 18.04 LTS (Bionic Beaver). After a few internal alpha images, the team is now ready to share the upcoming release with the Linux community, inviting them to try out the beta release of Ubuntu MATE 18.04 for Raspberry Pi, which brings lots of new features and improvements since the 16.04.2 release.